So, we have had a very busy and eventful two weeks – mostly in a good way, though. 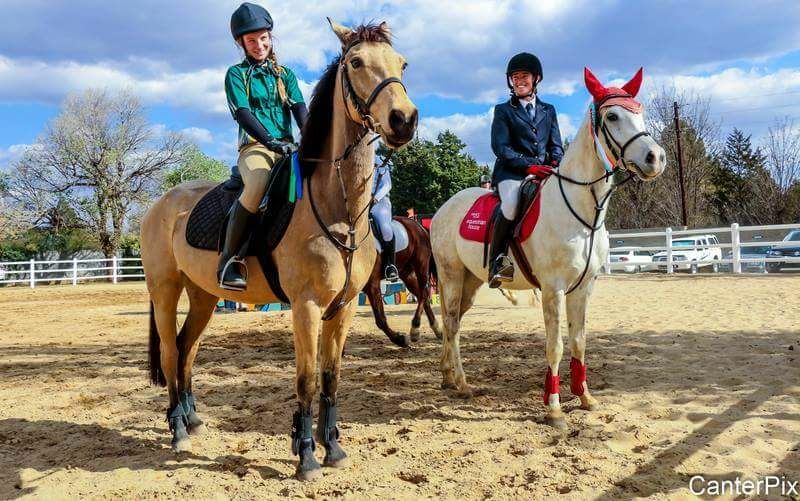 With SANESA Nationals being this week, we’ve got our hands pretty full gearing up for SANESA and CHG championships, as well as preparing kids, ponies and youngsters for next year’s competitive season. 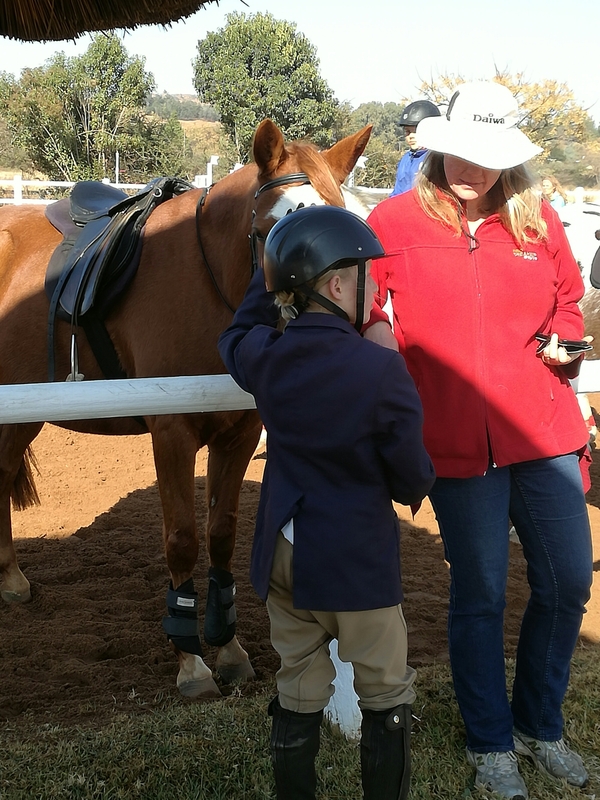 The first SANESA qualifier is usually in February, so we only have a few shows left to get all our little newbies ready for their first serious competition. Olive is sitting that one out, although her soundness has improved in leaps and bounds. We have been bathing horses like nobody’s business. They were all so grubby and sticky and nasty after a long winter. Our greys are finally looking grey again instead of yellow. Not least Magic, who has greyed out so much with this latest shedding. One of these days he will be all white except for his grey knees. He’s been having such a relaxed life that I’d forgotten how anxious he really can be until I bathed him in the new wash bay and, to add insult to injury, discovered that he is allergic to horse conditioner, too. Not as allergic as he was to mine (and I have really sensitive skin, too) but it stung a bit. Sorry chap. This is why he’s a lawn ornament. One month down the line, Emmy has gone from a rather straggly and dull 2/10 to a vibrant and active 3/10. All going well, she will go into training on the first of November. I look forward to working with her; she’s an amiable, personable little mare and she looks like fun. Could be fiery, but that may just be the Stud Time talking. I led a very long hack yesterday, seated upon my trusted dragon. I was worried about this hack because it was a solid two hours and we had little kiddies and novices with us in our group of seven, but it went really, really well. Even Lulu’s tiny kid (second from the front), who is not yet six, enjoyed it hugely. We did have one slightly heat exhausted rider but she wasn’t even bad enough to get this first aider excited. Nothing that two minutes in the shade and a drink of water didn’t fix. The dragon herself was fabulous. 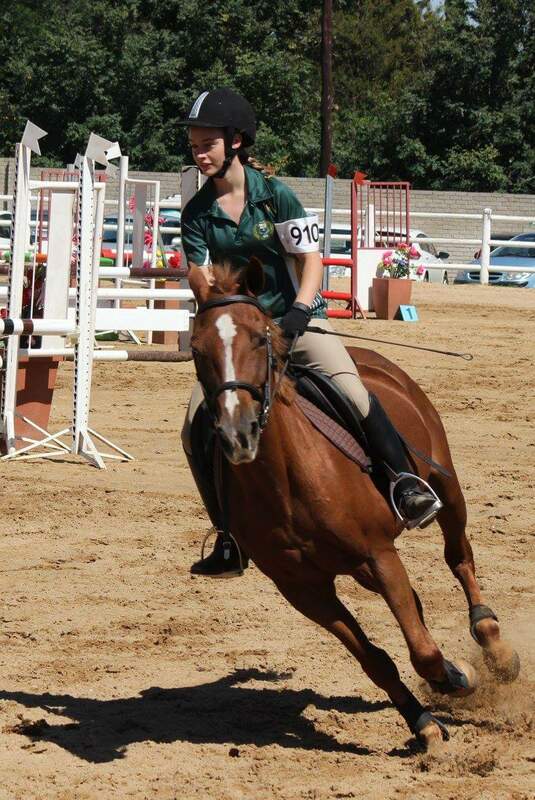 I had the double on because sometimes dragons need a curb, but most of the way I was only holding my snaffle rein. At one point Blizzard the dog disappeared into the bushes and Arwen and I had to go rescue her; she was enthusiastic heading away from the group and maniacal heading back, but we handled it. Arwen is stuck with hacking for the next little while. A farrier error left her feet very tender on hard surfaces for two weeks solid before our last show. I took her anyway because she was sound on grass and, as expected, sound on the deep surface at the show; but she was unfit and hadn’t been schooled for two weeks so our test was horrible. We managed fourth out of six, but the lowest mark of our entire career. Oh well. At least it was a completion. 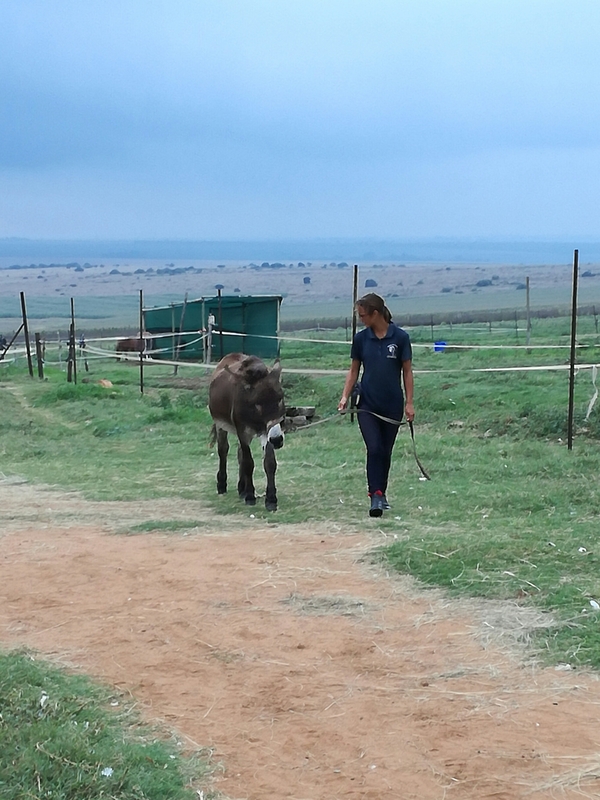 Trot sets in the maize fields for now until her feet regrow and we can use the arena again. 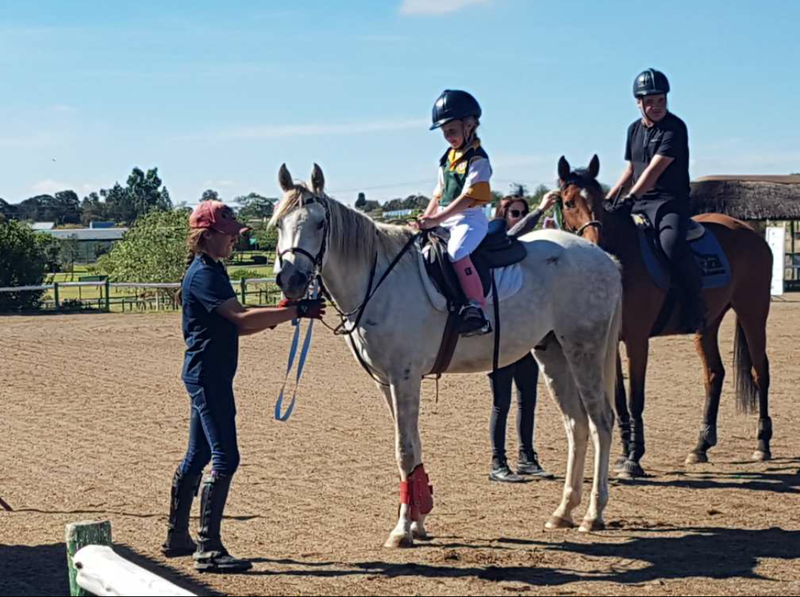 Savanna went to a training show a couple of weeks ago and did the 50cm and 60cm. She was much better than last time, but did fly backwards during the first class when number seven was a bit scary for her taste. I think I could have gotten her through it, but the course builder bossed another rider into giving me a lead, and after that she was just fine. 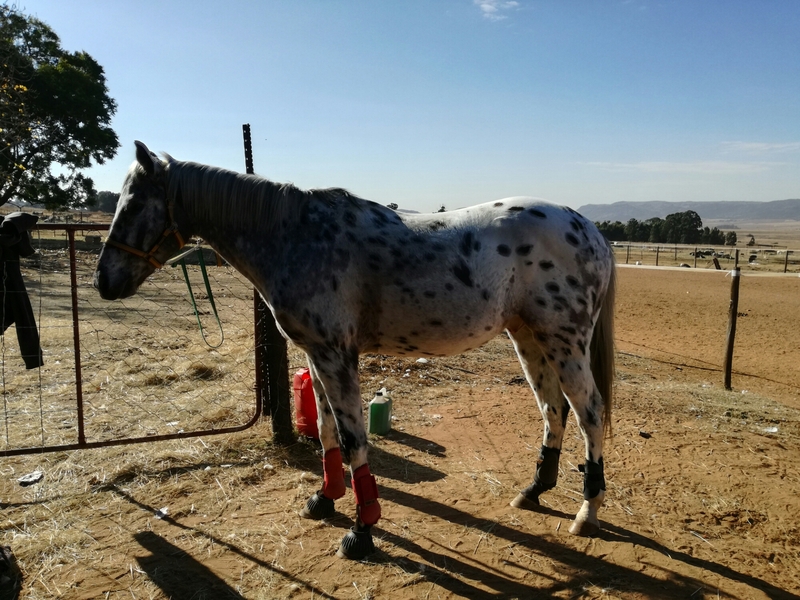 Her flatwork is also much better; bend and connection are now firmly established. Although she can pull a bit and then I definitely feel her size in relation to mine. Sad when 16hh is miles and miles too big for you. Faithy has put on a wonderful growth spurt and finally turned into something more closely resembling a horse. We have even managed uphill balance, yay! I was quite worried about that at one point. She also has amazing hair now and the best attitude ever. She also goes into training in November. I can’t wait. Champagne’s been a bit up and down. Her good days have been really, really good – to the tune of riding full Prelim tests – but her bad days are fairly bad. I find they are very much connected to my mood on the day, even when I think I’m hiding it well. 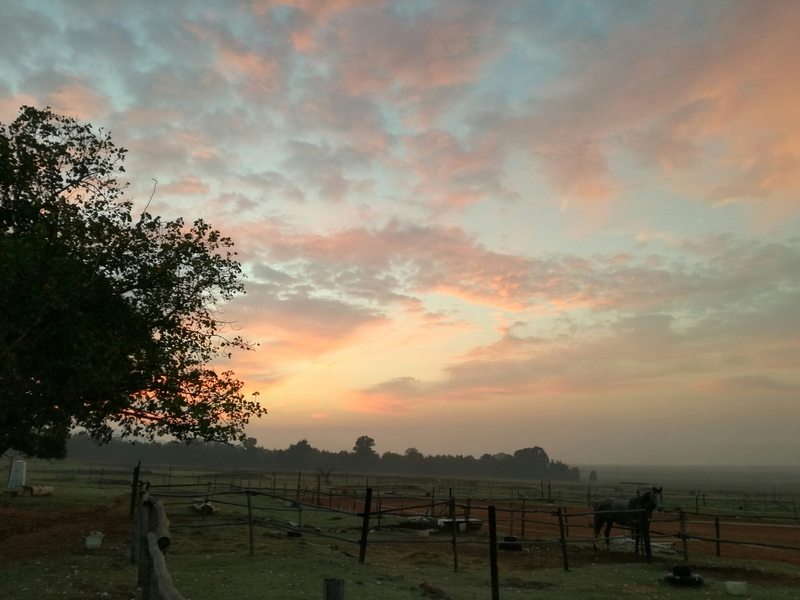 Trust the anxious horse to be the most sensitively and intuitively connected to the emotional states of others. We plan on taking her on her first outing, accompanied by Jamaica for comfort, this month. I think she’ll be OK, but I also think I’ll push her full of Good as Gold beforehand. Milady has been as sound as a bell lately and she and K are progressing in leaps and bounds. 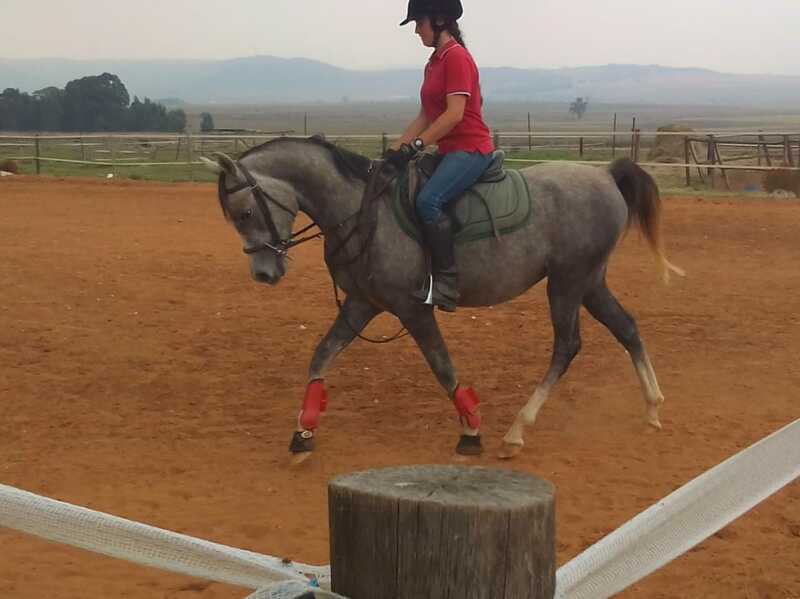 K plans to do equitation and showjump her at SANESA, and I think Milady is going to be a lovely showjumper. She is quiet and brave and quite careful now that she’s figured out where the legs go, and even very chill about fillers. I’m excited for them. Lady Erin weaselled her way into the blog by being adorable. 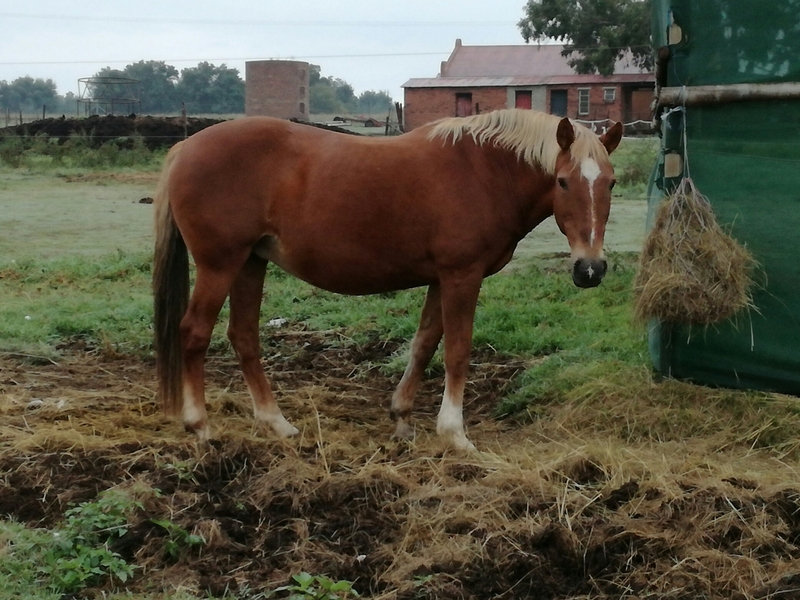 She will be one year old in October and is already good to box, bath, lead, tie up, groom, and so on – she’s got a rather boring two years of being a youngster in a field ahead of her. I wish she’d shed the coat so that she can look a bit better. I schooled Pennie during September because G had torn a ligament in her foot, as you do one month before Nationals. Pennie and I do not get along. 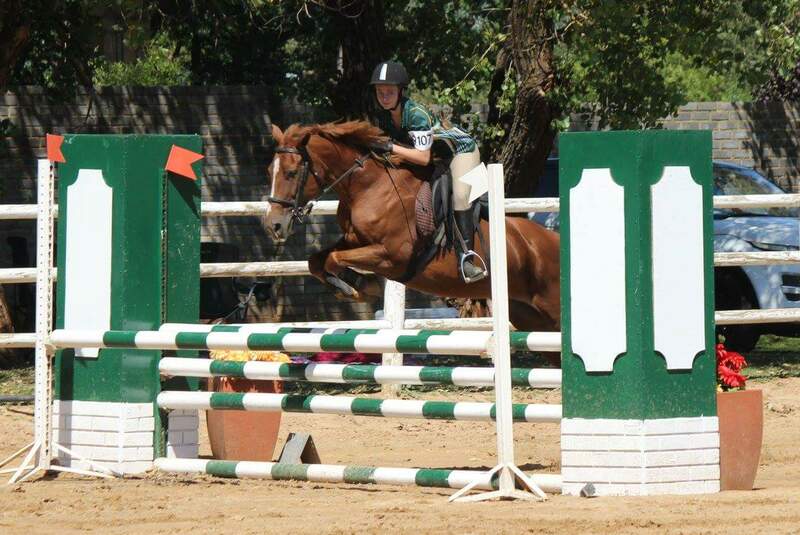 She is an opinionated chestnut mare who is used to being ridden by a confident teenage showjumper with a cold seat. I am a timid dressage rider with a hot seat. We spent the entire month installing brakes. This, however, has paid off and all was going very well until G faceplanted into a fence off her yesterday, earning three stitches and almost giving her mother and I heart failure. God must have an amazing plan with this SANESA season, because He’s sure making it interesting for them. This is Titan, who hasn’t gotten much blog space because he’s just been growing up here for a year and a half. He arrived as a little yearling and has grown into a little three-year-old. We call him Teddy most of the time because he isn’t really big enough for Titan just yet, but he will also go into training in November. He’s a little Arab with an adorable personality. He’s one of the ones that lost vast amounts of condition during August, but I almost have him fixed again now. Lancey was also one of the skinny ones and his skinny-ness has been rather persistent, but I’m finally getting the weight back on him now. Meanwhile he’s not competing for the moment, having a little break and just schooling with Z-kid until I can get him nice and fat again. Z-kid is still learning but Lance is trying to be a good little dressage horse for her and they’re progressing quite nicely. Mom and VT continue to be the best of friends. 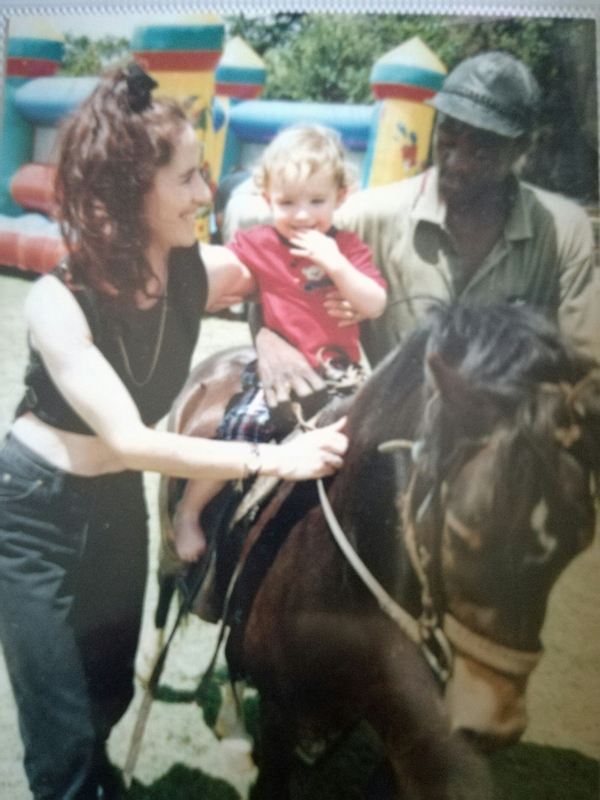 Mom doesn’t ride, but he doesn’t need her to. He just needs cuddles and carrots from her and she can supply both in abundance. For all her spookiness, Champagne really isn’t bad over fences at all and seems to enjoy the odd break from dressage. Blizzard and Eagle are settling into their new home, so far without any hiccups. They travelled great and seem to be behaving themselves really well. I trust them under saddle, but I was a little worried about their inexperience moving and travelling. Their calm natures (and the fact that they’ve been together since they were born) came through for them. We said goodbye to our beloved David. Jamaica and I jumped our first 90cm at the training show. Honestly, I was so tired that day that I didn’t really have the energy to be nervous, but obviously that was part of God’s plan because I ended up hardly being nervous at all. We tapped the first pole because we were both kind of asleep, but cruised easily around the rest of it without much difficulty. Thank you Jamaica. He is always happy to pop around at a snail’s pace even though he likes to go fast, even when it’s much harder work to jump. So happy. I really didn’t think we’d do it this year. The best part of all was how hard he tried, which left me grateful and happy even if we’d come last. 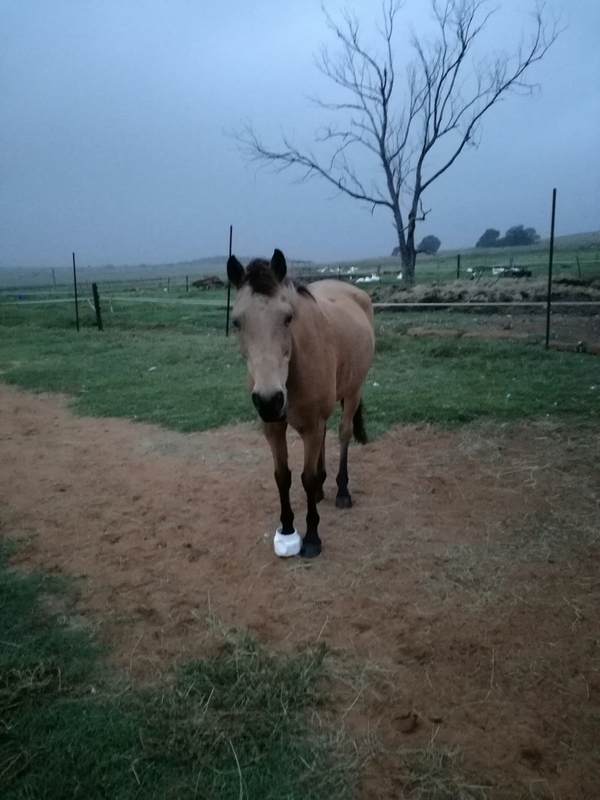 But it was cool that he won these bandage liners, which make him look like a fancy expensive dressage horsie. 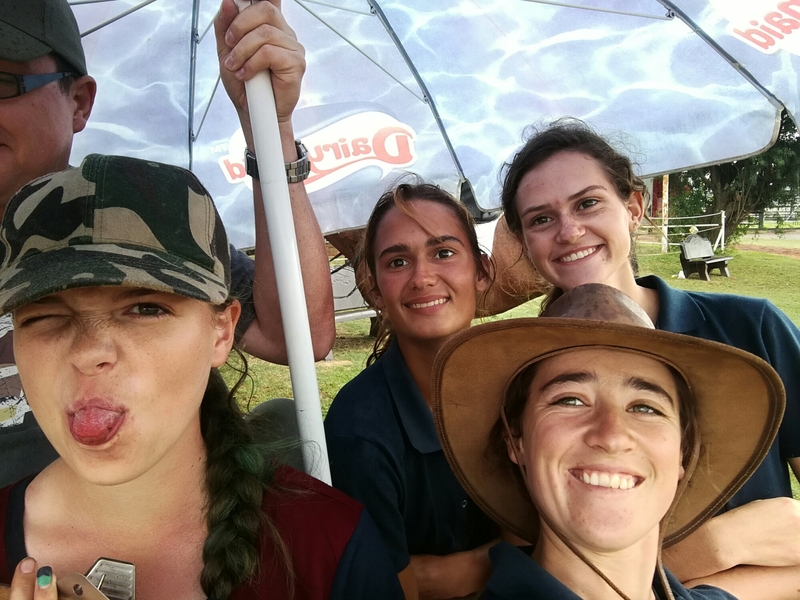 This show seemed to be determined to end the SANESA season on a typically chaotic SANESA bang – six classes all in one morning all over vast KEP and I was determined not to miss a second of anything. 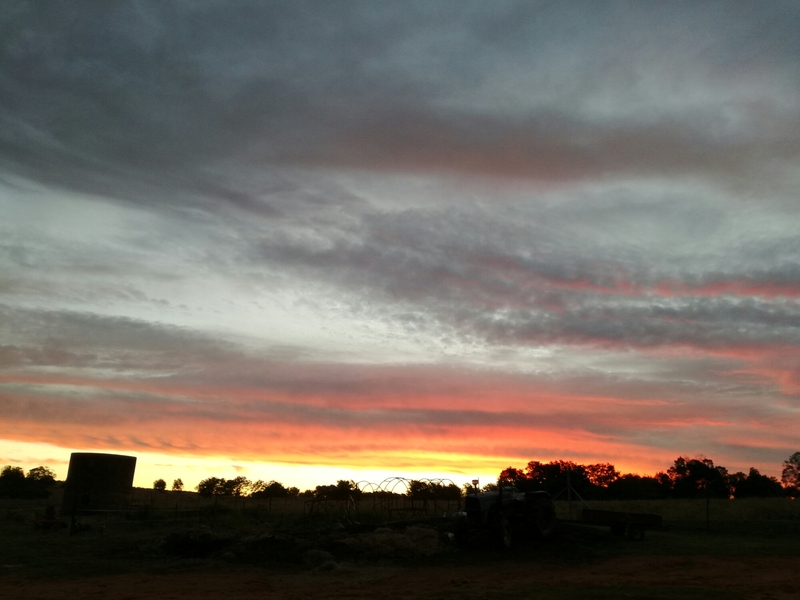 I almost succeeded, and I’m incredibly glad that I did – because God did something mighty that day! All the ponies and riders absolutely showed up and brought their A-game that day. 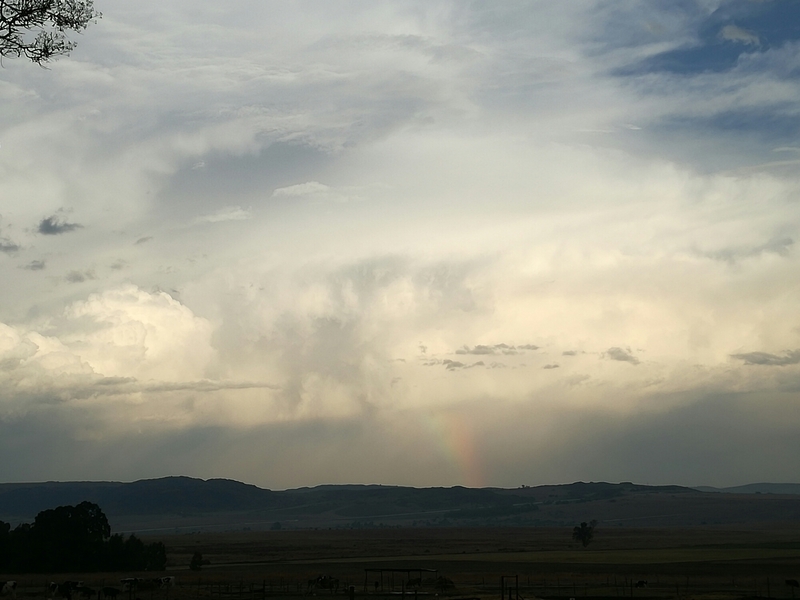 Pennie was jumping out of her skin – standing off and overjumping by miles. I have never seen her feeling soooo good in her body and she was showing off. They blasted through their A2 speed with G cheering Pennie on at the top of her lungs, me cheering G on at the top of my lungs, and G’s mom and I almost having a collective heart attack. They won it and with a fat margin, too. 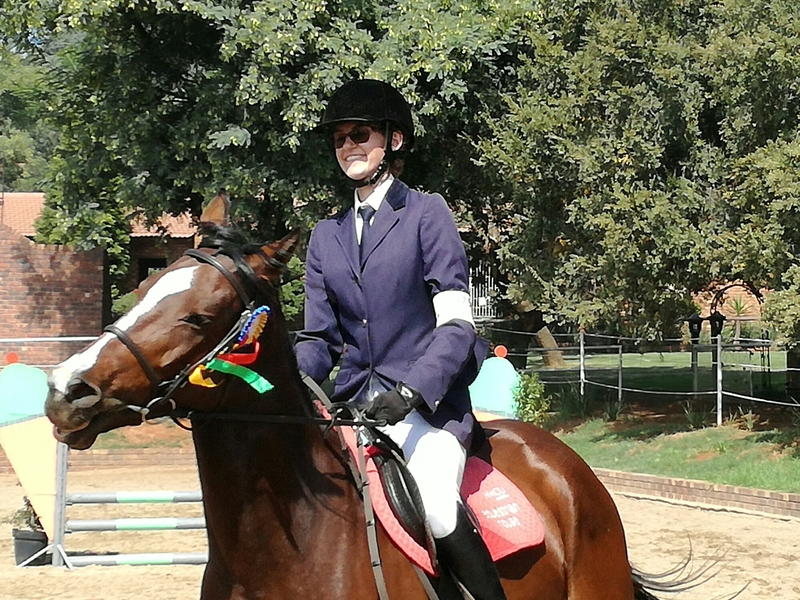 No mean feat at Gauteng Finals. They followed it up by bounding through the huge and technical competition round for 4th place. We’re going to Nationals! Their equitation was not their best – G didn’t get the chance to plan her test because they were busy winning stuff and I was busy cleaning Zorro so I didn’t even see it, but they still placed 15th. By working hunter they were both absolutely flattened. They tried hard, but Pennie didn’t really have the steam to show a good jump and kept disuniting, so they ended 13th. G also thought (as did we all) that she’d sacrificed her chance to jump at Finals at all when she had to make the choice to leave the last qualifier because Pennie wasn’t quite right. It was a decision I left up to her and she made a mature one, so for this more than anything, I’m proud. Zorro cleaned up great and headed off to working hunter positively sparkling. I was chewing my nails when I saw the track – both technical and spooky, with some obstacles he’s only seen once or twice at xc schooling. But he and Z-kid plunged forth at the most wonderful hunter pace and proceeded to cruise around majestically, taking every fence in his stride. 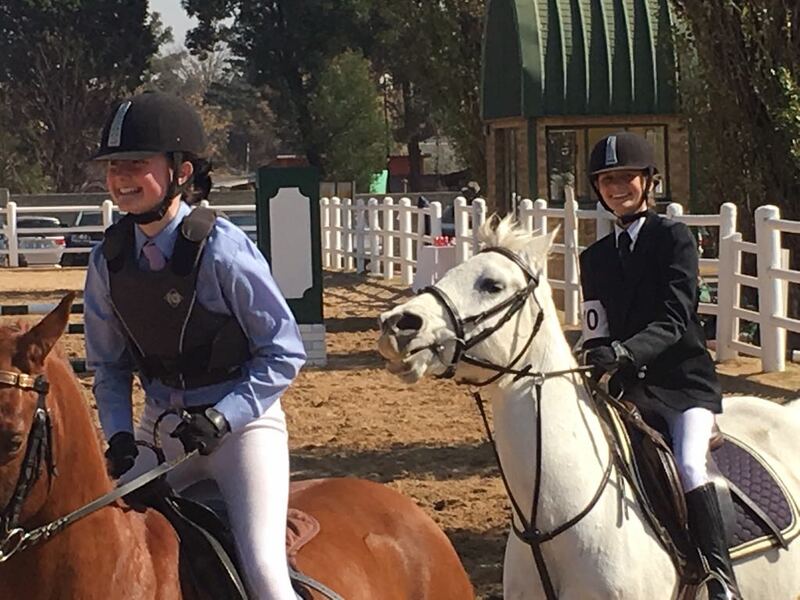 They had a careless pole, but even so their manners and pace marks were high enough to earn tied 9th and a place on the Gauteng team. 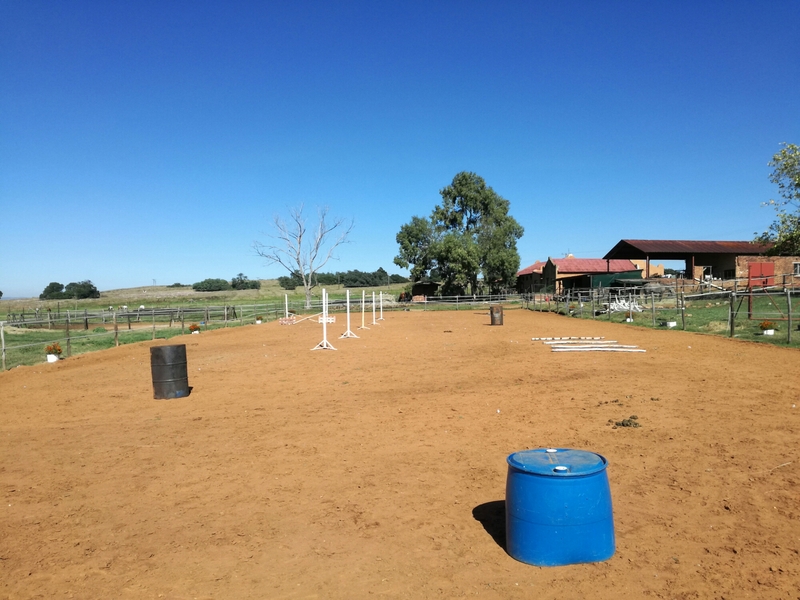 Their jumping track was VERY soft and unimpressive and Zorro was just kind of bored with it and took a naughty pole. Their time was solid and they would have placed but for that, so I am building gymnastic lines as we speak to get the brat to pick his lazy feets up. This horse was a camel when he arrived and I really didn’t think much of him but God is using him mightily. It’s not the placings that awed me at this show, although those did feel good. 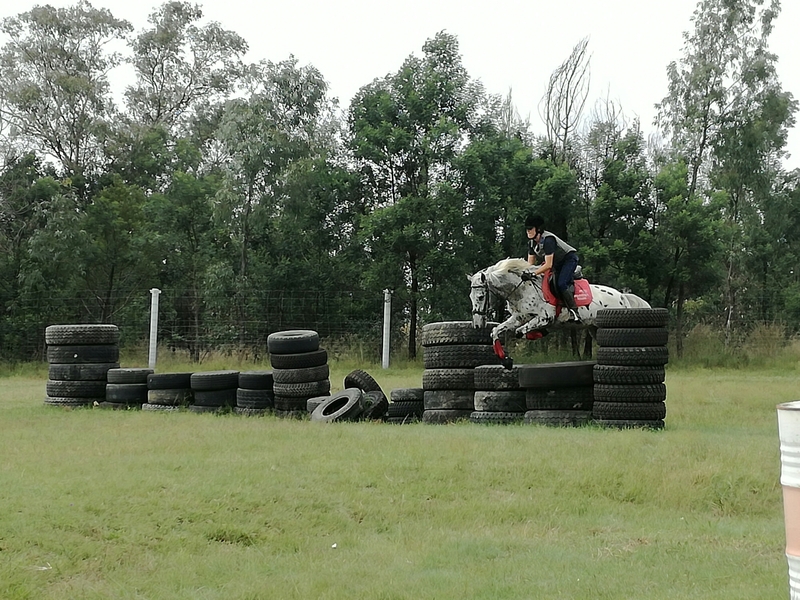 My primary school riders tried just as hard and so did their ponies. 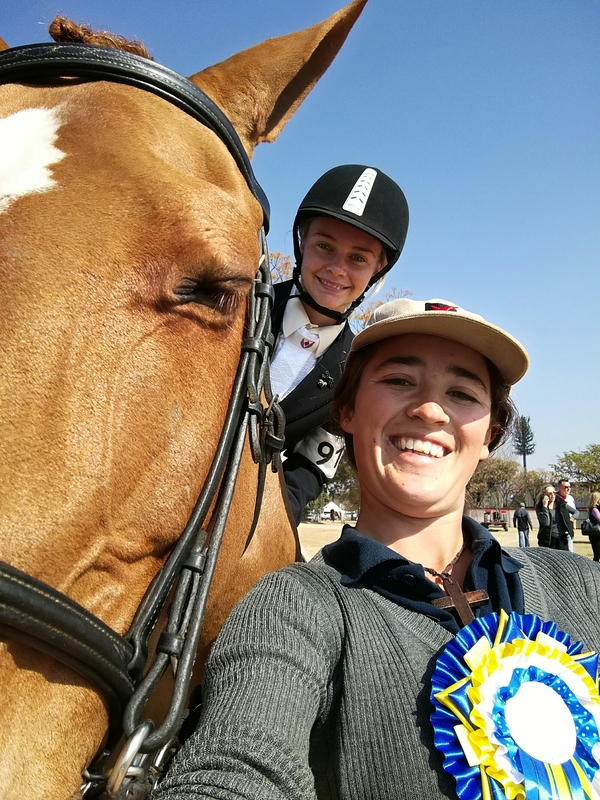 It’s that we have really, really struggled with these two horses in the past and they were just in such a happy space this weekend – absolutely knocked it out of the park, and loved it. God is moving. Glory to the King. Oh, but first I must tell y’all that the kiddies are incredible!! But you knew that, right? 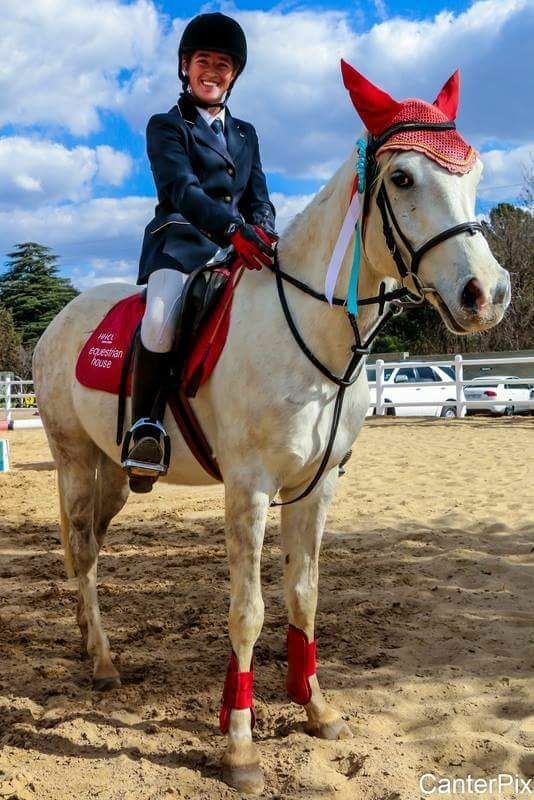 We are taking FOUR ponies and their little riders to Gauteng Finals and I am so proud of them I might just explode. 😀 Best of all, my riders that didn’t make it to Finals are just as talented as those that did, so it’s only a matter of time before they get there, too. 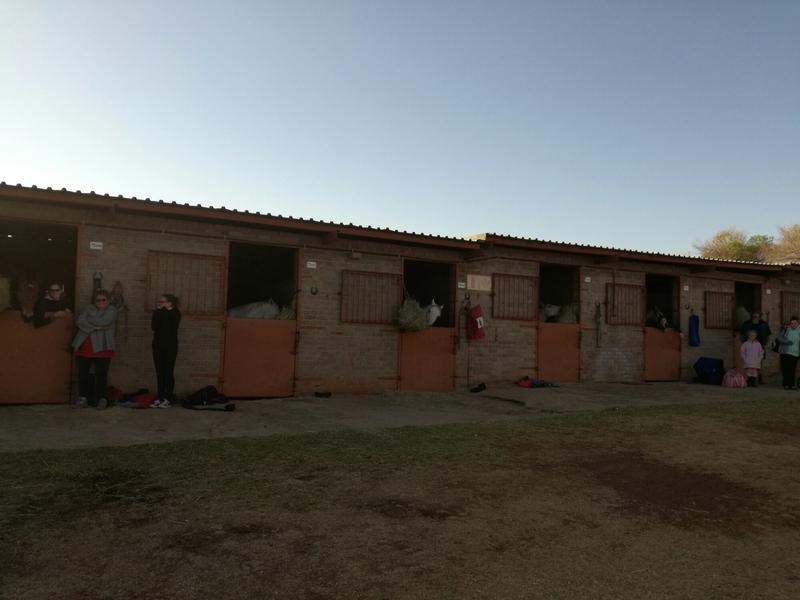 So Liana, Vastrap, Zorro and Pennie have all made it and they are all going really very well, particularly Zorro (but don’t tell the other ponies I said that). Their kiddos have put in a lot of work this season and I’m so happy to see them being so richly rewarded. But of course we can’t lose sight of the real Reason why we’re here: they planted, I watered – and our Abba Father gave the increase. Well, now back to goals. Let’s have a look. Get points for Elementary Medium. Still chipping away at this! It’ll pick up now, hopefully, that we’re going to more dressage and fewer showing shows. Either way, last quarter we had two points, and now we have five. It is possible to get points one class at a time. Our Elementary work is slowly improving. 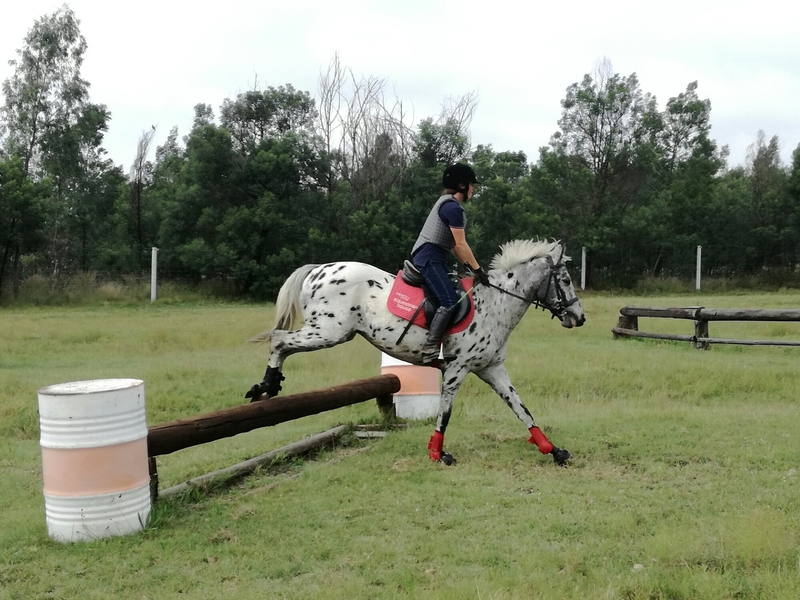 The horse is starting to touch the limit of her physical ability (not necessarily her natural talent – but her ability combined with dodgy schooling due to being my first project ever when I was, like, 13) and I don’t think we’ll ever show seriously at EM, but there’s no reason why our Elementary can’t be solid. To be fair, though, the problem is more mine than hers. I flounder at the level. 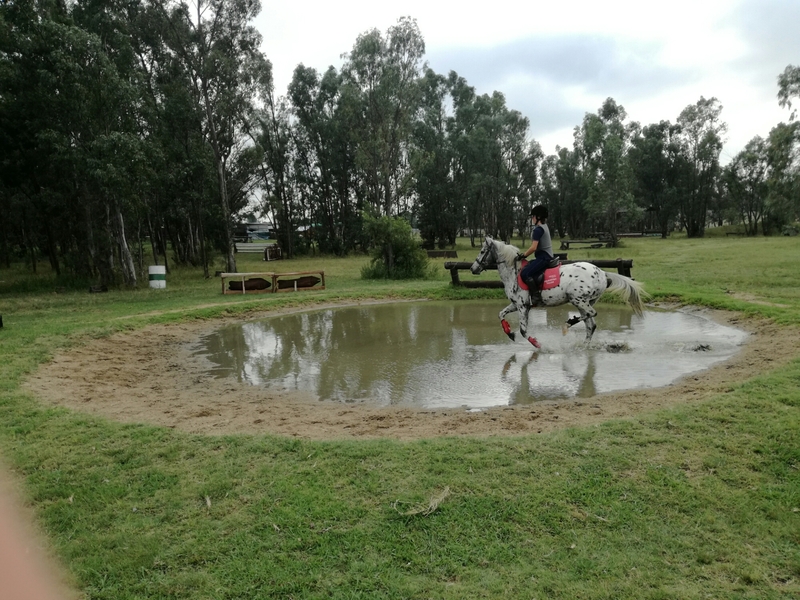 I don’t know what anything is really supposed to look like and I don’t have the opportunity for lots of dressage lessons, so the tests are basically our lessons. I even struggle to remember the longer tests. But it’s all a learning experience; my next Elementary horse will be better and this one is a whole lot of fun. Our next show is CHG Leg 5 in the end of August. We have eight weeks before then, including one week off and one week of test riding right before the show, leaving the remaining six weeks to work on our six lowest marks (shoulder-in left, walk-canter transition, medium-working canter transition, turn on the haunches, 20m circle with break of contact, rein back). One movement each week. It will take an art to keep this from stealing the joy of the dance, but one breath at a time, God is taking over the artist inside me. Don’t mess up a show riding/show hack class. Jump a graded 80cm round. Do some cross-country lessons and/or go drag hunting. I doubt hunting will be on the calendar this year, but we might just make it to xc lessons at President’s Park. Which would be absolutely fabulous (and disgusting preparation for our August show, but whatevs). Arwen is laying the foundation of my own education. If I ever do go up the grades (and that’s really up to God; my dance with Thunder on Sunday showed me that it’s not the level that matters, but the threefold cord) nobody will remember Arwen – but I will. Because she went first, and she paved the way. As we start to see 2018 on the horizon, I am also pondering a foray into another discipline with her next year. Part of me just yearns to go event again, but another part can’t justify the expense for a discipline the horse won’t excel in. Probably showing. Maybe it’ll be time to gird up my loins and face my fear of showing judges. As y’all know by now, I had to make the decision to sell the big guy. 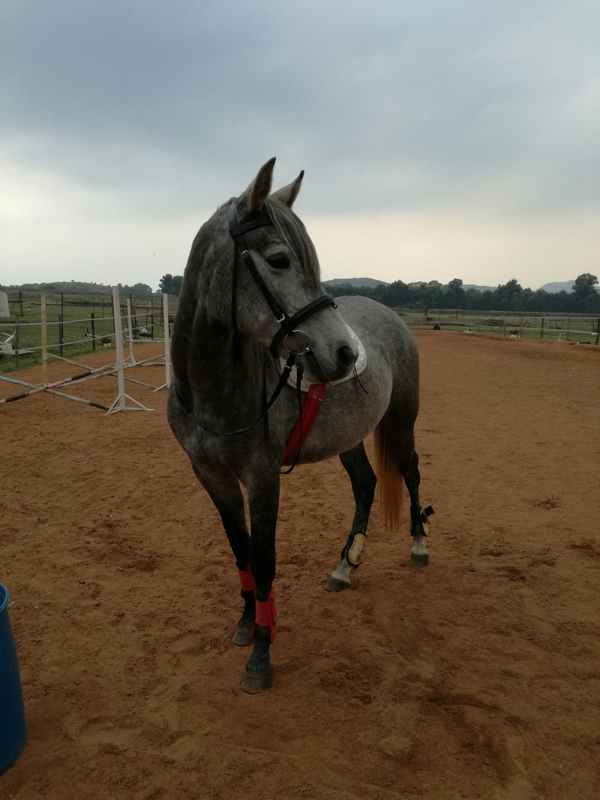 He’s with a trainer in Brakpan right now (something I’ve been too raw to write about – the trainer is lovely and I know he’s a lot happier with a job to do, and God sent that miracle for us just like He’s sent everything else in Exavior’s life) and hopefully he’ll met his person soon. Hack alone and in company. Done! With a child on board (in company), too. He loves his hacks. Compete up to 70cm showjumping at training shows. Still winning at 60cm (and kinda bored at the level, too) but I don’t think I should make him haul my heavy behind around 70cm. He pops around it at home with kids, and he has a new little partner to finish bringing him on, so as soon as little partner is ready, we’ll do it. Compete up to Prelim at training shows. Compete at the Nooitie shows. We did all the ones that seem to be happening this year, and he came home with some ribbons, too. 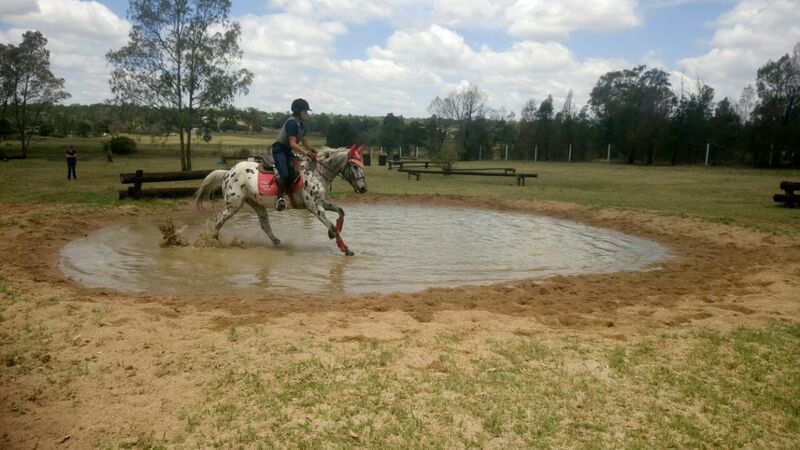 Go cross-country schooling. Fingers crossed for this month! Stand for grooming and farrier. Box well. Almost almost there – we can box without a bum rope, but with cookies and with some hesitation. Show in-hand. Spring Show was cancelled, but we’ll probably send in a video for the E-Show in August because then at least nobody can tell me I have a hairy yak in person, right? She behaves nicely in-hand, trots up and stands square, just needs a polish. In November/December, do the groundwork and have a rider on, just sitting. Ah, the joys of the long and dull two-year-old year while your precious, promising creature’s withers slowly catch up to its behind. She is wonderful though. I can’t wait to sit on her. Hack reliably in company. We haven’t hacked much, with most of the focus on jumping, but he’s never put a foot out of line in walk and trot – I’m quite happy. I still wouldn’t lead a long hack on him… but to be fair, I’ve got hacking nerves, so I wouldn’t lead a long hack on anything very much except Arwen (and Trooper). 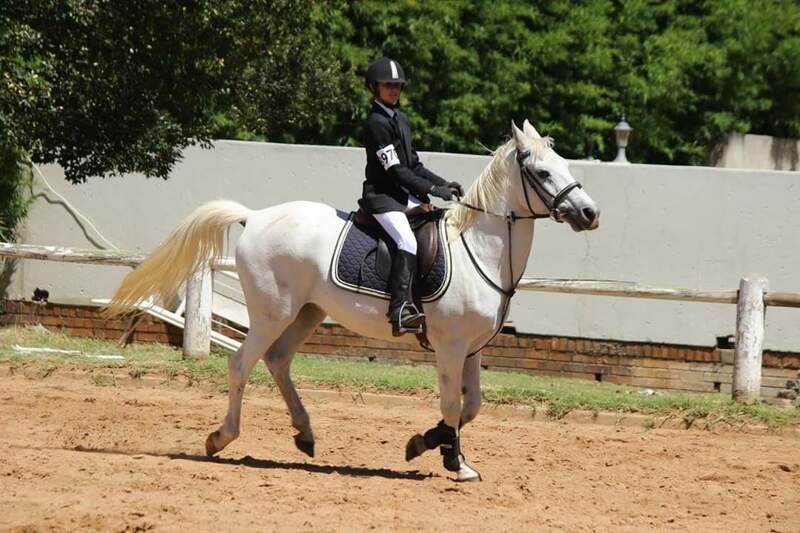 School Novice dressage. As evidenced by the appearance of a topline, he’s carrying himself a LOT better. Still not brilliant, but to be fair to him, with his body shape and previous schooling brilliance on the flat is going to be a lot to ask. We have most of the Novice 1 to 4 work down. Trot lengthenings and free walk are still a sticky point. His canter work is lovely. Jump 90cm graded. 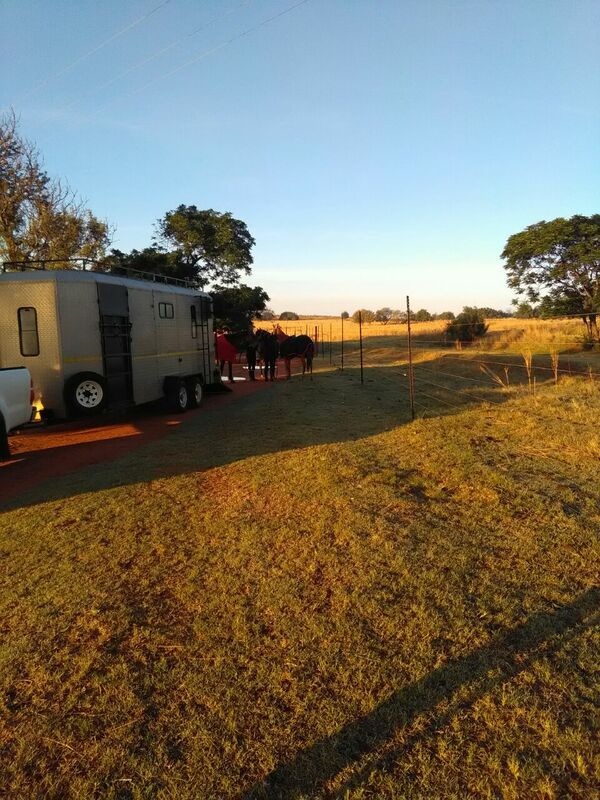 Heading that way; we’re doing 80cm at shows and popping over the odd 90cm height/width fence at home. 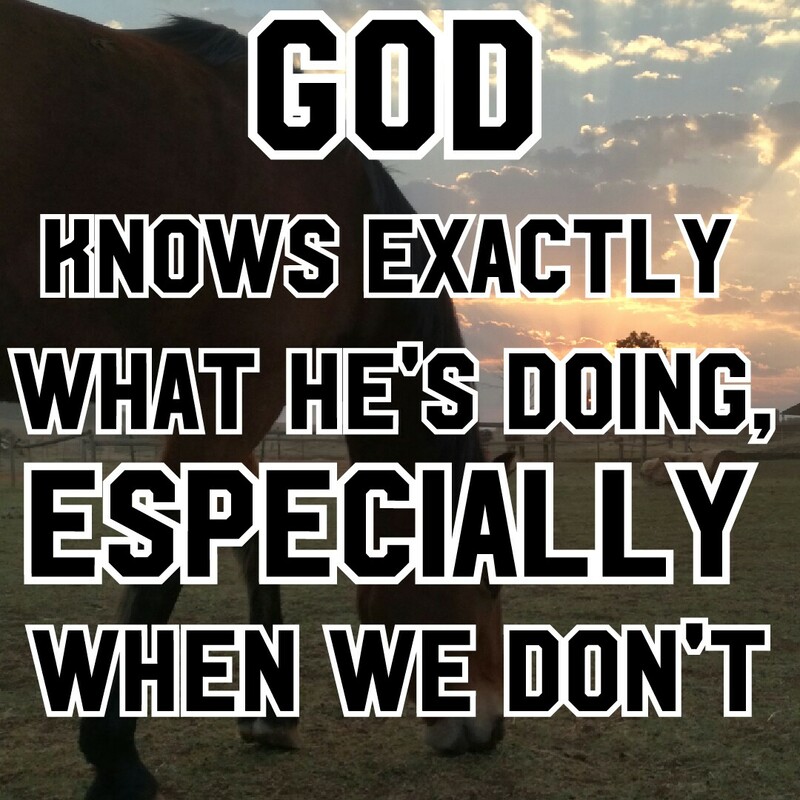 The horse can do it – he just skips along. It’s my nerves that are the problem and that’s just going to be a step-by-step process. So grateful for the spotty one – he has done so much for me already, and continues to do so much with every session. Reliably do long hacks alone, in company, and wherever without any drama his kid won’t laugh off. 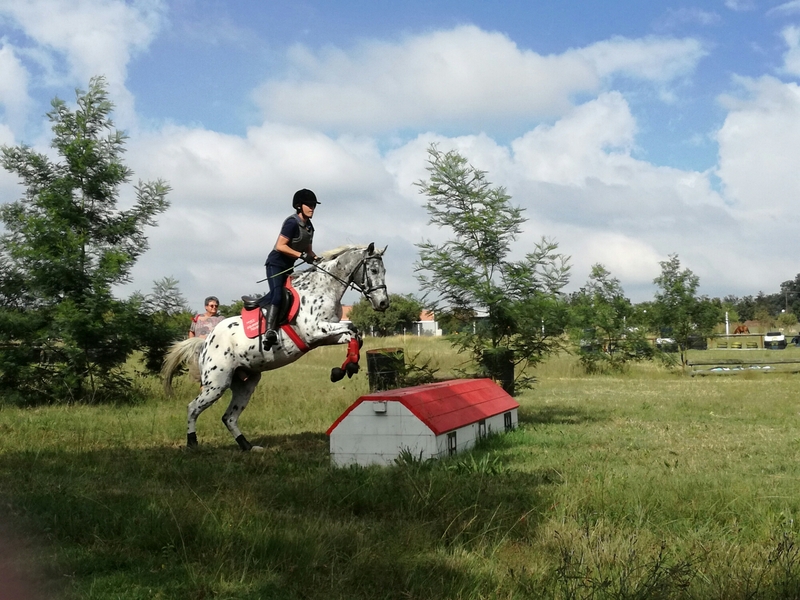 Very, very close to finishing this one – we haven’t been on a super long hack yet, but he’s done 45 minutes or so in w/t/c, even with a novice rider. He’s lovely. Do a training show or two at Prelim dressage. Done! With 65% and 67.3% in Prelim 3 and 4, too. Consistently jump graded at 70cm, preferably clear. He’s completing his 70cm rounds, but he still has the odd stop that he likes to throw in, and I just want him to be rid of that habit. I’m not too worried about poles – that’s just greenness in his body. I just want him to hunt down the fences. Lancey is so close to being handed over to Z-kid for good. He just needs to be a little braver at shows. 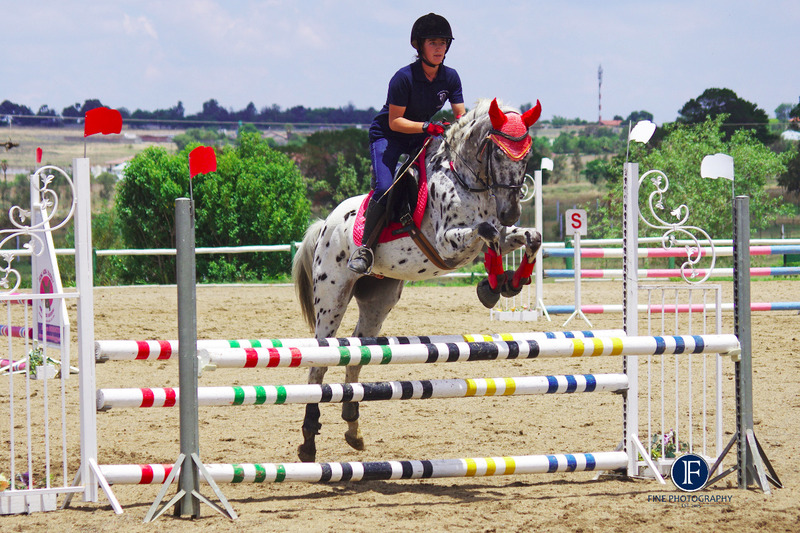 Do training showjumping shows, up to about 60cm. He is still struggling to figure out that jumping is a thing, but he’s very sweet about it. Do training dressage shows, up to Prelim. Schooling Prelim at home all right. Be as safe as a house on hacks, mostly in company. You could literally be a one-armed two-year-old with ADHD and hack this thing out without being in any danger. Be as safe as a house on the ground. Just need to box, then we’re good. Be fully quiet at shows. We haven’t been on an outing yet, but I’m aiming for August. 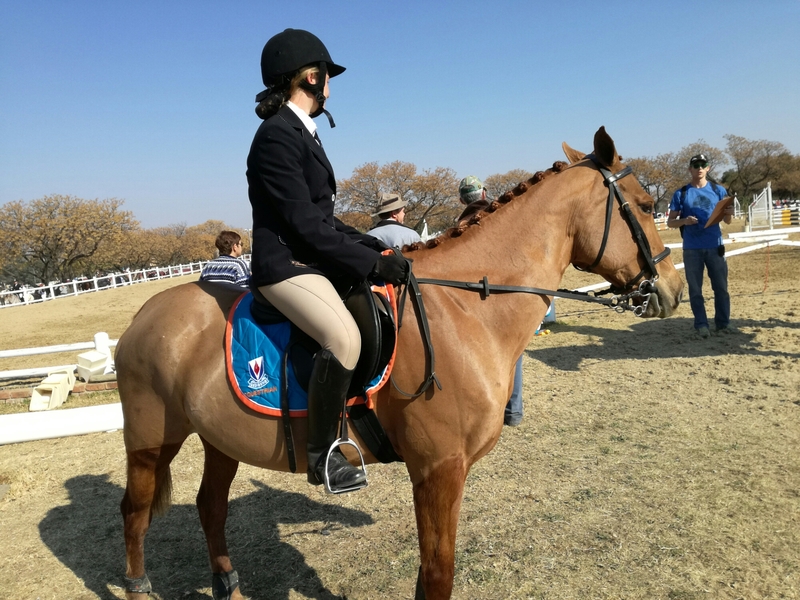 I’m hoping we’ll be able to afford to do all the competing we’re hoping for – the sale ponies often end up a bit sidelined in favour of the more lucrative training horses. That said, I’ve given him six weeks off anyway. He’s three and a half and has all the basics; I can’t expect a whole lot more from him right now. Thunny spent the first half of the year competing under K at SANESA, but their season is done now, so it’s time he and I started to get our duckies in a row. School all the Novice work, ready to compete next year. Our Prelim is solid; the only movements we have a little trouble with are halting (steady and straight but not square), stretchy trot, and lengthenings, all of which are Novice work anyway. 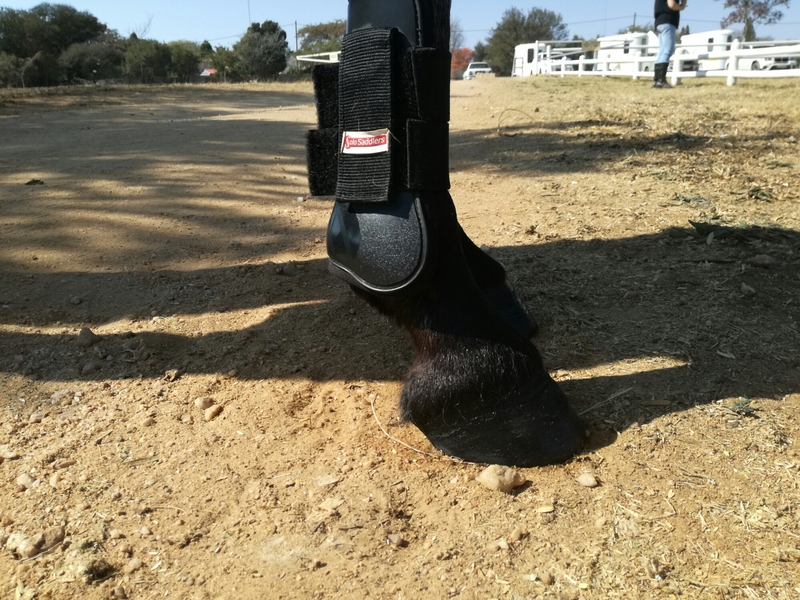 He’s played with leg-yields, counter canter and simple changes, but I expect difficulty with lengthenings, so this goal will start with strengthening the basic gaits first. 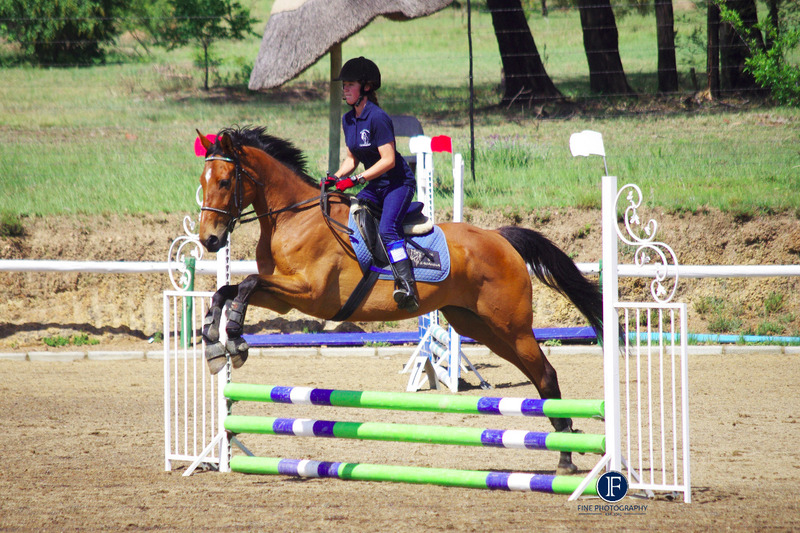 Jump 70cm courses with confidence. Anybody can see that he’s no showjumper, but he’d make a really fun working hunter once he’s settled at shows. Since I drag Arwen to HOY anyway, I don’t see why he shouldn’t come along and plop around the in-hand, show hunter and working hunter. 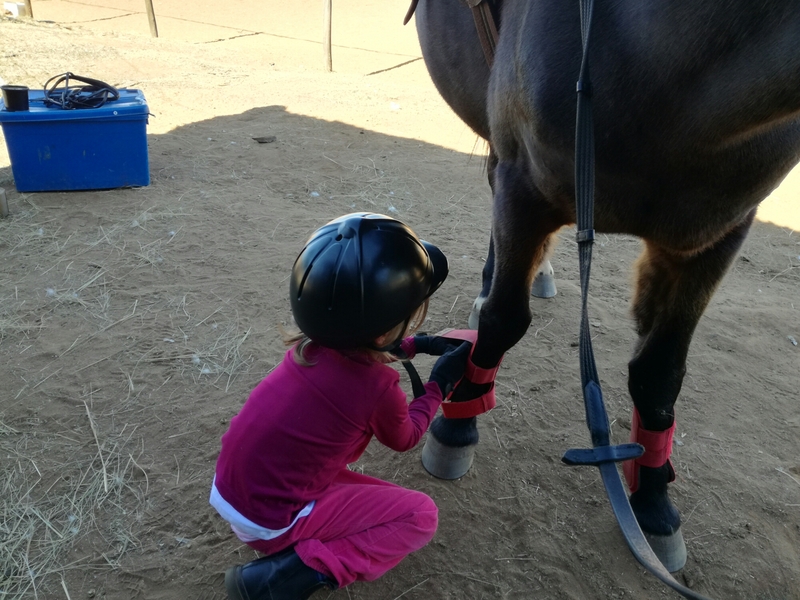 Do our pre-flatwork short hacks calmly. These are hit-and-miss at the moment. He’s either perfect, or he sees a terrifying sparrow and bolts. He has a proper Friesian bolt too – no bucking, but practically impossible to stop except by means of a vicious one-rein, which I don’t really want to do to him. I don’t want to get killed either though, so he’ll have to have a few until he learns that whoa means whoa. Onwards and upwards. Glory to the King. Last qualifier of the year, and we found ourselves having a weekend full of exceptional performances from our faithful steeds. St. Vastrap was his reliable self, despite putting in a cheeky stop during a practice last week – most unlike him. He and his kid blasted around the speed for a third place, then had an unlucky pole in the competition for seventh. They’re going to finals! This little team has everything they need to go to Nationals, but VT’s kid will need to up her game in terms of focus in the arena itself and riding the plan we work out. All part of growing as a very hard-working and promising little athlete, riding a pony in a million. 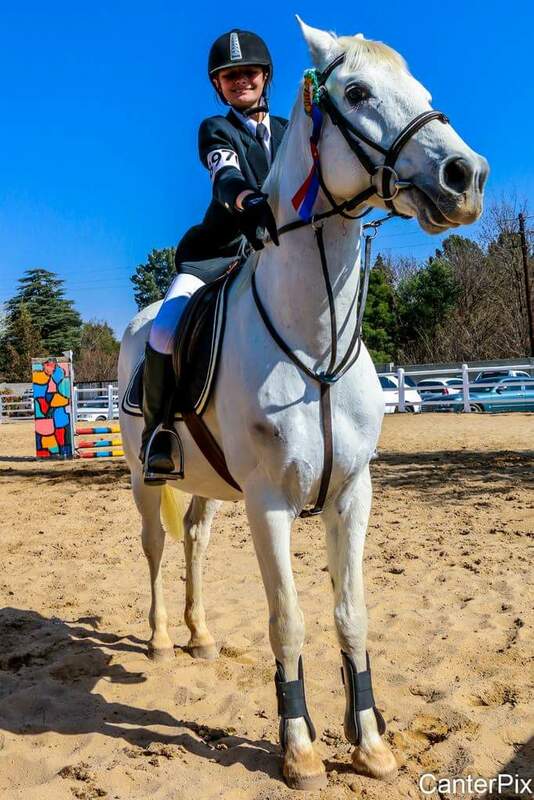 Zorro and Z-kid had a wonderful qualifier, thanks to huge personal growth and super riding from Z-kid, which has resulted in Zorro going better than he ever has. They had a silly pole in the competition, but came back strong for fourth in the speed, then jumped a lovely clear for second in the working hunter. They’ll also be headed for finals in working hunter if I have it right. Liana and her kid had by far their best show yet, even if that didn’t earn them any ribbons. Ana was the quietest she’s been and kiddo rode very well. 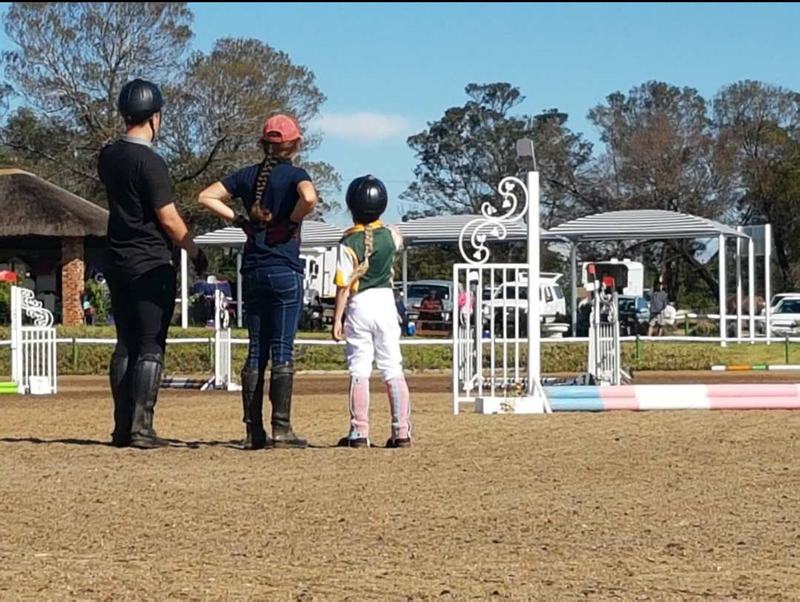 Pony overjumped an oxer in their first jumping class, sending kiddo onto her neck, but they recovered well, just getting penalties for circling. A mature decision from the rider, as it was the only way to negotiate the next fence safely. They were clear in the ideal time, but – get this – too slow for a place. Up till recently, Ana didn’t know slow was a thing. 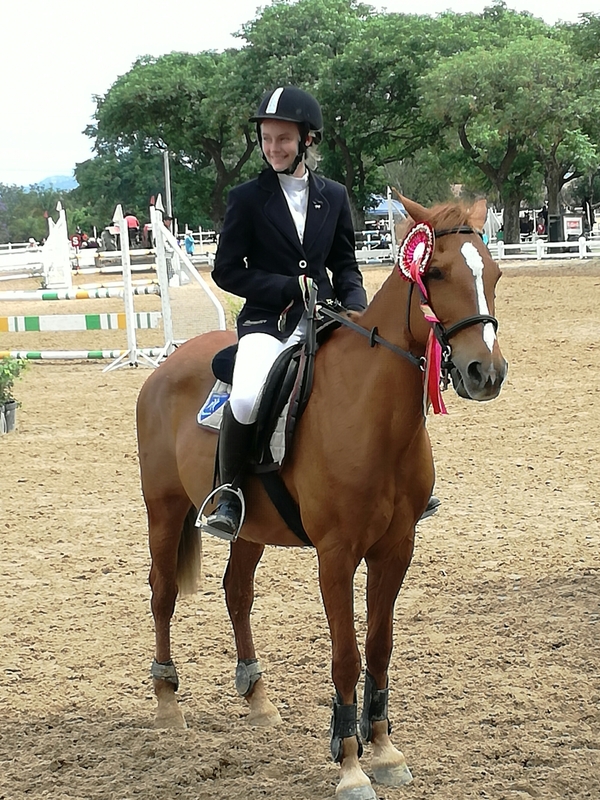 Continuing on the quiet and well-behaved theme for the day, Liana was wonderful in the prix caprilli and kiddo rode so accurately, getting 67.72% and third place. K and Thunny were busy winning their equitation test when the GPS malfunctioned and they jumped the same fence twice in fine style. A bummer for K, but she handled it with enormous grace. They upped their dressage score, too, getting 59.16 and 62.5 despite all the monsters beside the arena. I think we finally have the leads mastered. 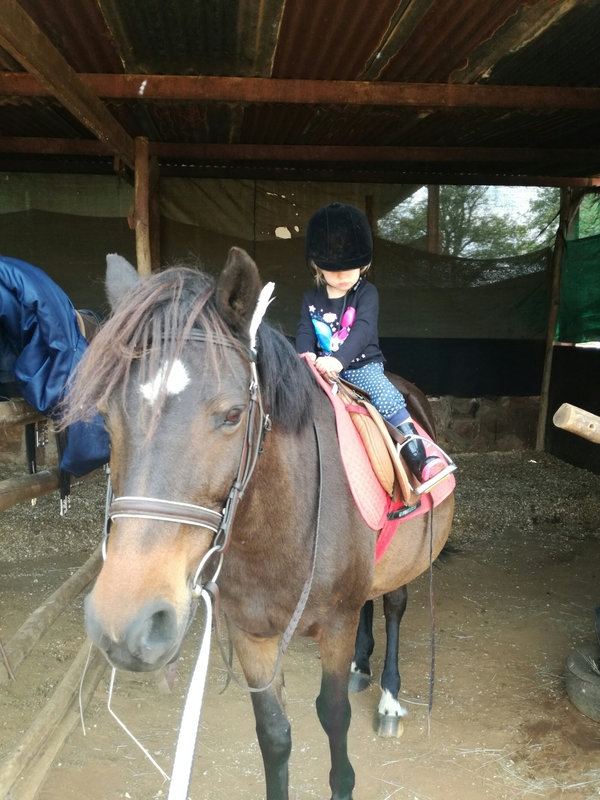 Lullaby and the tiny tot rode in the midst of great chaos – I was riding dressage as their course opened for walking. Usually I’d have K walk with her, but tiny tot speaks no English and K speaks no Afrikaans, so yeah. I watched the kid before us and then dragged Lulu around in more or less the right direction, and tiny tot wasn’t worried (her poor parents were less blasè about it), so it added up to a positive experience but she was out of the ribbons. I think we could have done better, but I also think I can’t teleport. Such is SANESA. I would happily have skipped Midas’s test but I can’t let Lancey’s young owner down so there you have it. 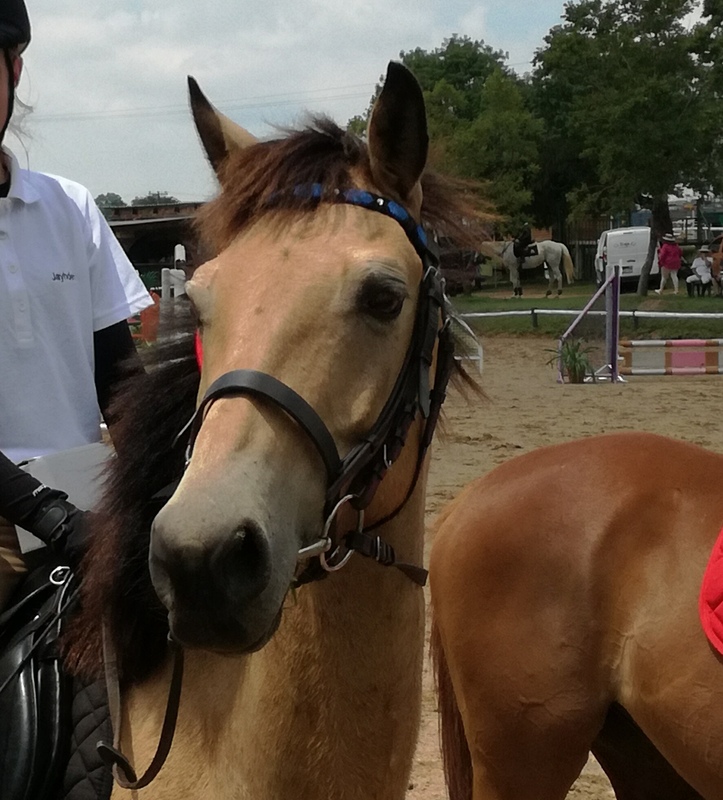 Speaking of Midas pony, he wasn’t really on his game this weekend, but to be fair to him the errors we had in showjumping were mostly my fault. I feel sorry for him dragging my fatness over fences so I don’t really jump him myself at home, and I kept panicking and chasing him at distances he didn’t have to try and make. We had two poles in the speed and one in the ideal time, but he was dead honest. So we didn’t get our showjumping goals of going clear but I’m not worried. Pony is a bit bored at the height too, which isn’t always a bad thing. 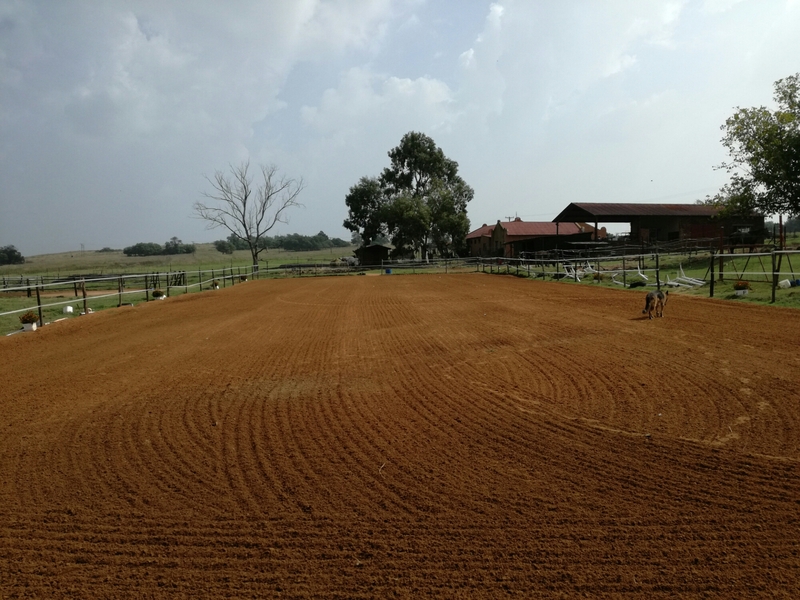 Dressage was in the most appalling location – the arena appears to have been cut right out of a wood of young poplars, and the wind was howling, causing the whole thing to rustle and wave about most alarmingly. Midas never actually jumped but he was drifting, tense, and hollow in that corner. Having five minutes to warm up didn’t help either. Still, we had 65 and 67.5, so that’s not horrible. Maybe at finals I can finally warm the poor chap up for a change. Not warming up at all worked brilliantly for Lancey, however. K saddled him up, led him to the show arena, and held him while I rode the test on Midas; Lancey’s warmup consisted of walking around to the judge. He greatly exceeded my expectations. I thought he’d be dreadful, what with the howling bush monsters and all, but he actually just had a little look as we walked around and then paid them no attention at all. He was so focused, probably because I hadn’t had time to cook his brain beforehand. He tied first with Midas in the second test with 65% and had 67.3% in the first one. His jumping was improved albeit still rather erratic. 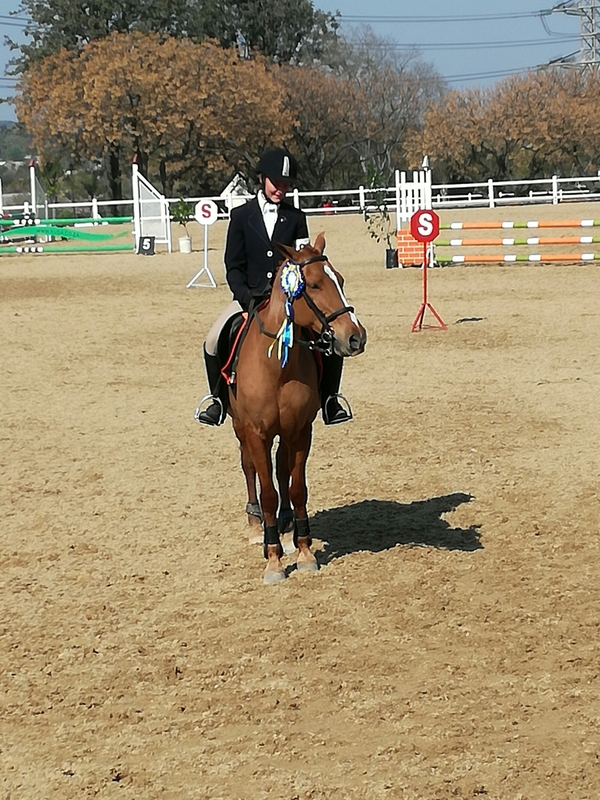 He had a pole and a stop at the combination in the first class, once again, but this time I jumped the first element again and thus we finished with the eight penalties. The second class had the most dreadful fillers throughout and I quickly scratched my goal of getting no stops – everything was stopping. I’d be happy just to get him round. Sure enough he had one stop at number four, but to my amazement it was because of a wiggly approach and really had little to do with the fillers. He didn’t look at a single thing for the rest of the track. It was a huge lightbulb moment for him. “Oooh, all I have to do is jump the jumps!” Ya think, Lancey? I was VERY impressed with the little chap. He tries so hard. Last but not least, Jamaica in the 80cm. After the debacle we had last time, I wasn’t sure whether or not to expect an utter disaster. He felt forward in the warm up but that could have been my imagination. We did about four thousand canter-walk transitions after the jumps, then went in to the course with all the scary fillers, white-knuckled and white-faced. I nearly died when he had a big look at number one and all I could get my frozen limbs to do was feebly wave my stick, but he jumped. Then after that it was just perfect – from Jamaica, anyway. 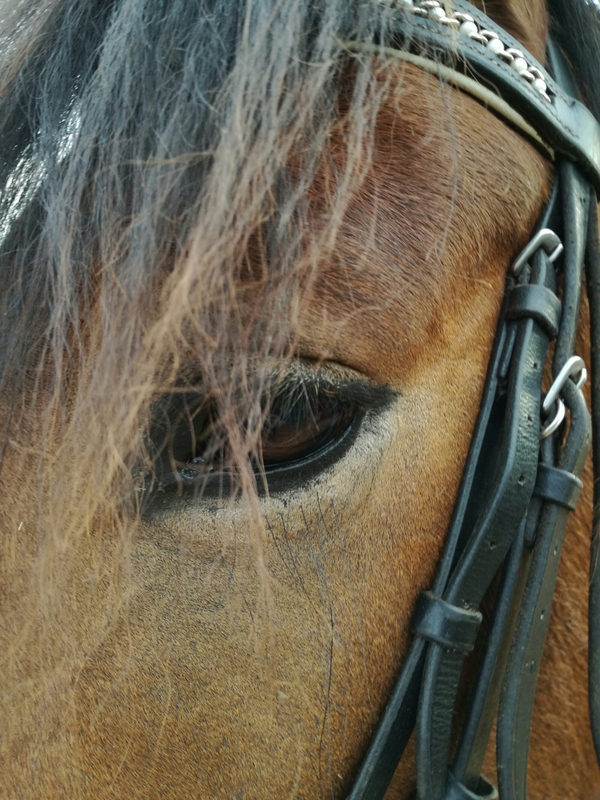 I hung on his face and made him canter as if we were doing flatwork, adding strides with wild abandon, burying him to fence after fence and every single time he patiently tucked up his little black knees and popped over without any fuss. I don’t know how, but he didn’t even take a pole. 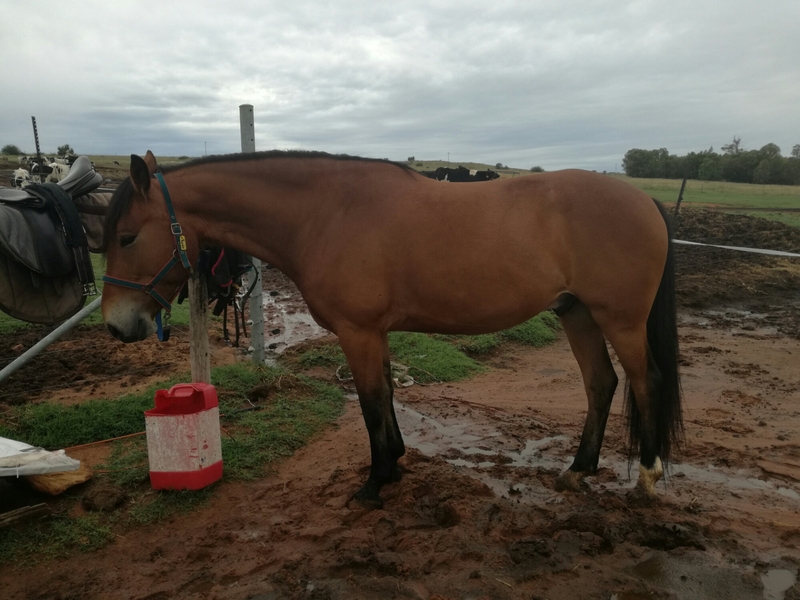 No bucking, no running away, he just sweetly hauled my sorry behind around like the quiet old packer he actually really isn’t – a six-year-old remedial problem horse with a sketchy background. Who’d have thought it? Eighteen months ago he was somersaulting over a fence and breaking his shoulder. Six months ago he was handstanding his child off and breaking her shoulder. One month ago he was bucking and bolting. Today, he is helping, fence by willing fence, to lay the bricks that repair my potholed, ripped and ruined path to riding confidence. Who’d have thought it? I sure didn’t! Above all we ask or imagine, my God is faithful, my God is powerful, and my God – oh, you have no idea how my God is in charge!